enhancing advanced and slimming technology, plumen relaunches their iconic 001 LED lightbulb with greater control, performance and longevity. 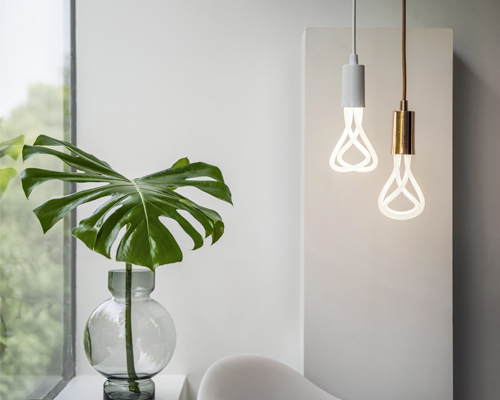 displaying elegance, individuality and purity, the buster + punch 'buster bulb' enhances LED technology to provide a more energy-efficient lighting alternative than incandescent and filament lights. the products use LED technology with an integrated lens that negotiates different radiation patterns. the table light can identify colors from anything in its surroundings, transforming the atmosphere to create different moods. the globed source of illumination marries charm, whimsy and elegance with its integration of old, new, modern and minimal. the lamp is a representation of the original light emitting diode prototype developed in 1962.
wanting people to rethink their daily objects, the piece appears as a 3D lightbulb, but the thin glass frame is actually completely flat. 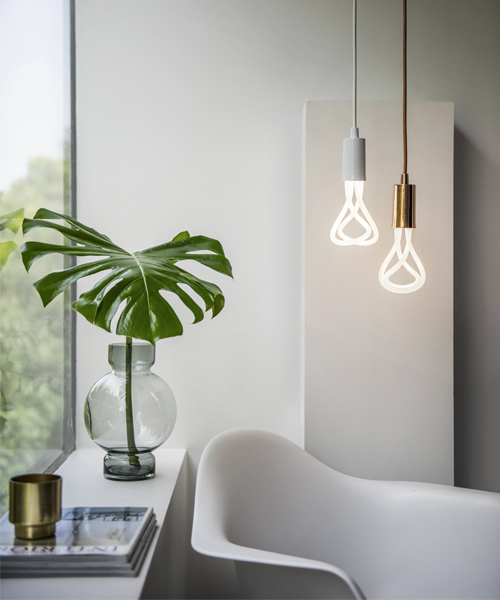 the glow that the plumen 002 emits alludes to the warm and patterned light of incandescent style bulbs, yet hulger's design uses just 25% of the energy, and maintains a lifespan of 8 years of normal usage. using responsible materials and processes, the student collaboration produced a diverse range of ideas and realizations that varied in medium application and technique. south korean hobby:design has produced the self illuminating light bulb, an adaptable fixture that has a subtle sci-fi aura to its glow. the lighting pieces are based on antique bulbs with a defined steeple and intricate filaments. retaining the same dimensions, shape, and light quality as an incandescent, GE's new 100-watt-equivalent light bulb incorporates air jet technology to keep its LED components cool and operating at maximum efficiency for over 20 years. exhibiting a light whose lampshade is a growing bubble, as well as a combined LED/globe pendant lamp, the swedish design trio is one of three studios asked to create a special-edition and production lamp model for booo!. 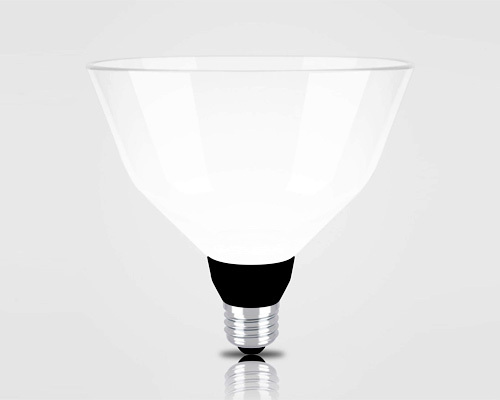 featuring liquid cooling technology, the bulbs are available in 100, 75, 60 and 40 watt equivalents to offer the light quality of incandescents, but each one lasts 25 times as long and is 80% more energy efficient. multiple LED units are combined into a single bulb, mimicking the size and color quality of incandescents while offering increased energy efficiency. this energy saving-long life LED bulb is the first in the world to use clear glass to show the light source. with same dimensions as the traditional light source, it can be used as a perfect replacement for incandescent light bulbs. italian design brand alessi's first move into the lighting world, 'alessilux' aims to dissolve the boundaries between light bulb and luminary. the energy efficient over-sized light bulb is designed to react to the phasing-out of the incandescent bulb and unattractive aesthetic of most CFL replacements. it can be used individually or as part of one of three new chandelier frames. the low energy light bulb out won over 90 entries to claim the winning title which was presented to the team today by this year's jury chair stephen bayley. 'insight lamp' is a fluorescent bulb that plays a joke on the classic good idea light bulb joke. general electric will launch a new hybrid halogen and compact fluorescent bulb that combines the strength of each lighting type in a single design. 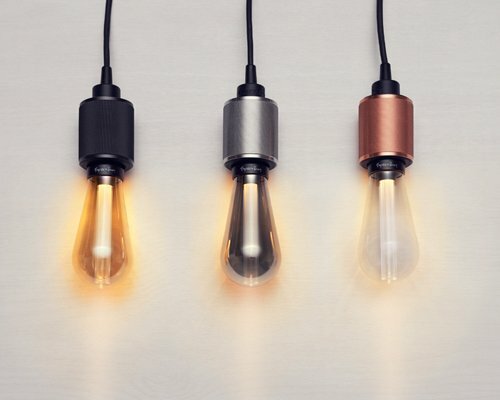 known for their repurposed retro phones, hulger has now designed a low energy light bulb with a unique twisting design. the diamond light is a new design by the young swedish designer eric therner which is a light bulb with the iconic form of a diamond. the installation is a collaboration between toshiba, takram design engineering and architect ryo matsui. how to protect yourself from stupid rules: the euro condom as part of milan design week 2009 the german designer ingo maurer unveiled 'the euro condom' created in response to new EU guidelines that will see frosted light bulbs banned. unlike ordinary bulbs its volume is 1/3 smaller, reducing the cost of packaging and transport. its slim shape allows bulbs to be easily stacked and prevents breakage as it does not roll.